6 - Red LED means PTT ON. 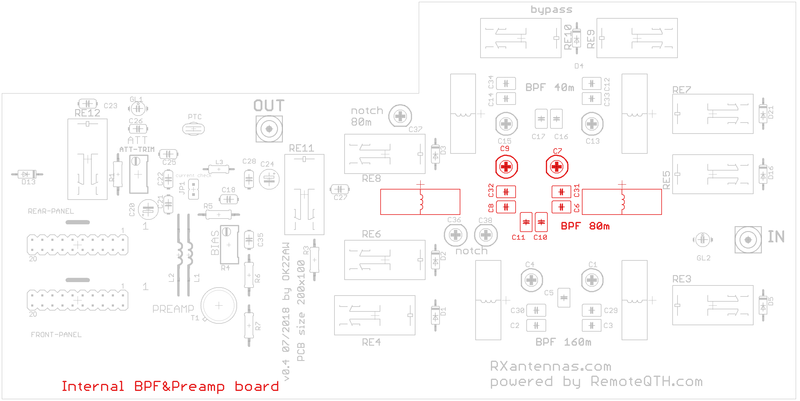 There are two ways how to connect your RX antenna controller to your TRX (RX). 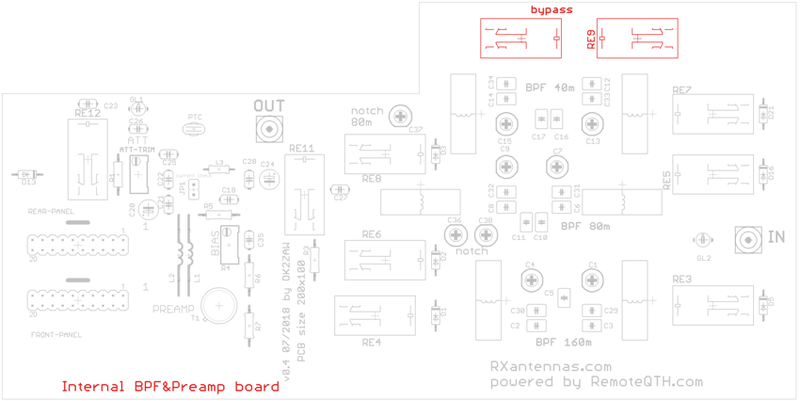 ⚠ MUST be RX ANT ONLY PORT on TRX, no TX!!! You can use internal RX antenna switch. 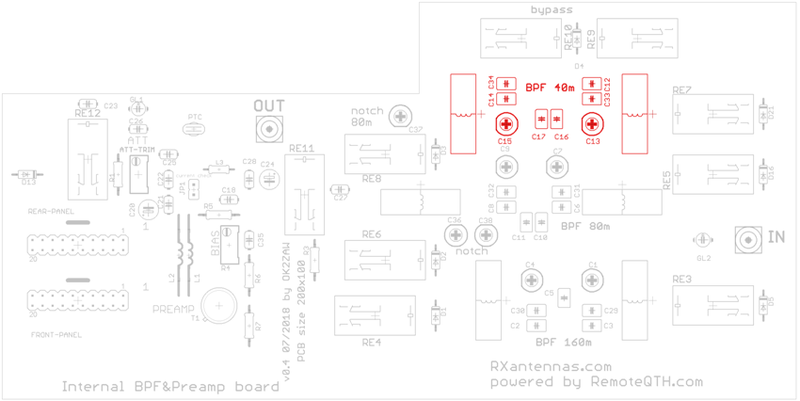 If you want to use this feature you MUST use PTT IN to control relay for TX antenna! There is easy PTT loop on rear panel with two RCA connectors. PTTcontrol works only in sniffer mode. PTT can continue to your PA over this box. ⚠ NOTE: PTT must be used!!! ⚠ NOTE: RED LED TX must light ON when you TX PTT!!! First 8 wires are the same. ⚠ NOTE: RJ45 is NOT LAN connection!!! 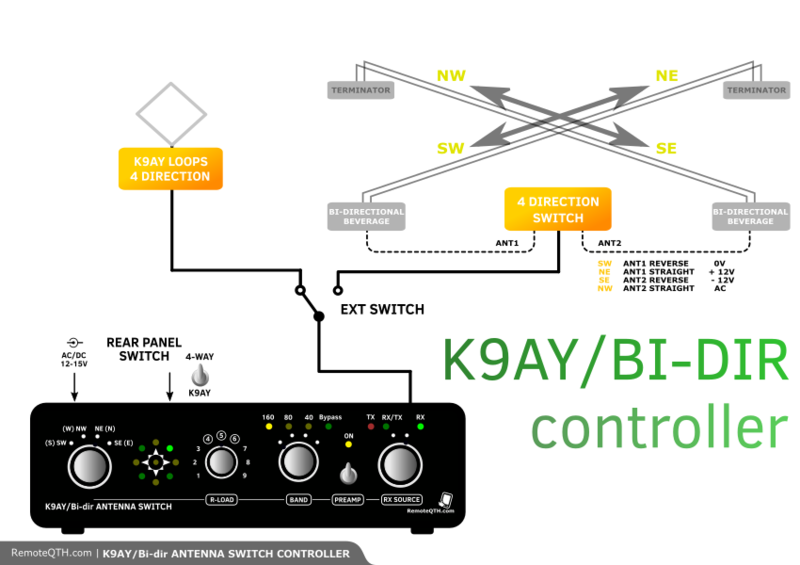 K9AY and 4-way Bi-dir system do have different switching matrix table. With the variable ATT you can set gain of the Preamp as you need. With this trimmer you can set right bias for the transistor. 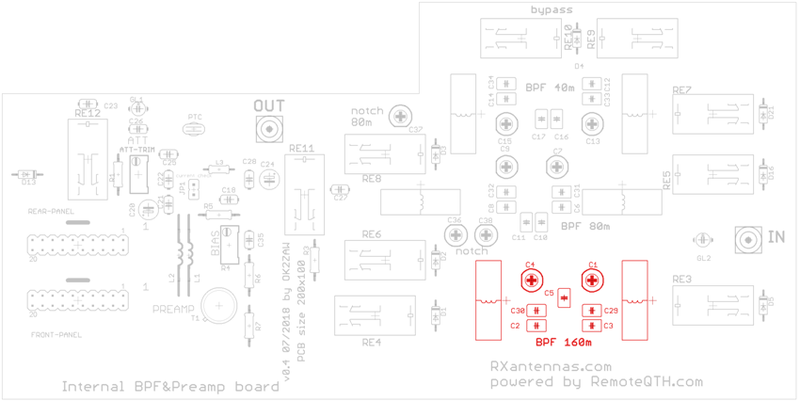 160M BPF selected by controller. 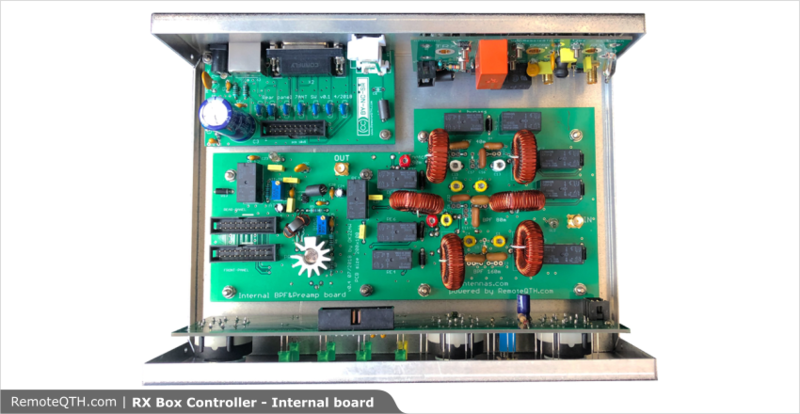 80M BPF selected by controller. NOTCH filters are included, nulls 160 and 40m. 40M BPF selected by controller. NOTCH filter is included, nulls 80m.